Excellent article by Prof Kameel attached below. Prof Kameel has long been an advocate for the removal of the fiat money system. Fiat money system is one of the most important issues of our lifetime. It is so important that in the last few messages to mankind, the last few verses of the Quran and in the Khutbah Wida' by Rasulullah s.a.w. we are again warned about the dangers of riba, which is what fractional reserve banking is, the mother of all riba! We need to clearly understand Prof Kameel's message. 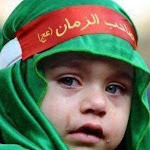 Fighting riba should interest us who worry about the future of our grand children; it should interest us who wish to live life as true Muslims, free of riba: It should worry us who worry about the fate of Palestine and Al-Alqsa; it should worry us who worry about Misr and a host of other debt slaves nations, slaves to nations who are kings of riba ; it should worry us who are Nationalists and worry about the fate of the Malays. I submit if we really do understand, there is no other issue as critical as riba, they just pale in comparison. No other sins Allah and His Rasul declare war on as in riba. The article below is not about Malays vs Chinese in Malaysia nor is it a call for Malays to patronise riba banking. It is about the failure of Malays to honour their covenant as Muslims to reject riba in their nation, and for that they pay the price that Allah and His Rasul has so warned us about. The action required is to remove riba banking. The ideal solution is to create two types of banks. One set of banks who deals only in payments based on amount of monies in accounts without ability to lend and finance. The second set of banks to act as Investment Houses who invests in companies instead of lending money to them. The above is the ideal. If we cant reach there yet then for the time being adopt what Prof Kameel suggests , nationalise the banks! This will kill fractional reserve banking. It will remove the advantage which has been unfairly enjoyed by the few. On the international scene this was also how the Zionists accumulated their wealth, and how they now threaten Al Aqsa and the Muslim world. This article argues that the wealth of the Malays in Peninsula Malaysia has been systematically plundered away from them through the interest-based fiat money banking system. This is also true for otherBumiputras that includes the indigenous people of the peninsula and East Malaysia and the early Arab and Indian Muslim trader-settlers. The process has been going on since the first private banks were established in Penang since 1860’s up till now. This has serious socio-economic-political effects for the Malay race, Islam and the country as a whole. Accordingly, the article calls upon the government, NGOs and concerned public to put a stop to this plundering process and thereafter take proactive and affirmative actions to reverse the process in order to establishsocio-economic justice by promoting peace and prosperity in the country through an equitable distribution of national wealth among all races. This article demonstrates one aspect of many aspects of fiat money, i.e. how the indigenous people of a nation can lose considerably in the fiat monetary system. A number of nations canbe taken as examples to show this. We take the case of Malaysia for this article. If we notice over the years, Malaysia has transformed tremendously with respect to its socio-economic-political aspects. The Malays who basically owned most, if not all, of Peninsulainitially are now very much economically disadvantaged. On the other hand, the Chinesecommunity in particular has been growing in economic affluence relative to other races. Thestatistics of billionaires in Malaysia attest to this fact. This economic disparity has, in turn,brought about a number of socio-economic problems to emerge within the Malay society – economic distress, poverty, low self-esteem, low academic performance, drug addiction, matrempit, teen problems etc. Accordingly the government had tried some affirmative actionsincluding the New Economic Plans to address the issue. These brought about some limitedbenefits but nevertheless the problems are still present and seem ever growing. For the Chinesehowever, their economic affluence has also gradually been enthroning on them more political representation. This article argues that the above socio-economic-political dynamics as observed in Malaysia are very much rooted in the interest-based fiat money system. It argues that the money and banking system in Malaysia has been much unfair to the Malays and has assisted in the plundering of the wealth of the Malays, that has been going on for about 15 decades now. Basically it argues that the banking system in Malaysia has indeed caused significant socio-economic disadvantages to Malays over the years since the first private banks were established in Penang, in the 1860’s. This article is based on historical facts and observation of Malaysia over the decades. It is intended to stimulate some thought process, with no malicious objectives like creating racial disharmony. On the contrary, it is hoped that this article contributes towards realizing racial harmony, equitable distribution of national wealth, lower levels of corruption and much reduced levels of socio-economic related problems. In Section 2 the article reasons why the banking system in Malaysia has brought about significant socio-economic disadvantages to the Malays. Section 3 discusses the soicio-economic-political effects of fiat money system. Section 4 provides some measures the government can take to halt the plundering and reverse the process. The last section concludes the paper. Malaya was originally inhabited by the orang asli, the indigenous people, and by the Malays. With sultanates scattered all over Malaya, they essentially ‘owned’ Malaya. The orang aslibasically lived in the tropical jungles while the Malays lived in kampongs. They lived a simple but gracious communal life, with agriculture and fishing as their main livelihood. Malaya was a land of ‘milk and honey’. It attracted the early Arab and Indian Muslim traders to this country. Arab traders are known to have come to the Malay Archipelago even since the early 7th century. They are known to have reached Sumatra in 674CE, i.e. just few decades after the advent of Prophet Muhammad (peace be upon him) in Arabia. Indian Muslim traders on the other hand are known to have come to the Peninsula Malaya, particularly toKedah, since the 12th century. Their influence in the court of the Malacca sultanate is also well documented. Parameswara, the founder of Malacca embraced Islam in 1411. The local Malay community was predominantly agri-based and the business acumen of the Arab and Indian Muslim traders complemented this. Accordingly, the early Indian Muslim and Arab traders had vibrant businesses in Malaya and were much welcomed by the local people due to their common religion, Islam. The religion of Islam was therefore the guiding and uniting factor. In accordance with Islamic principles, the money used in trade and commerce were real monies – mainly tin ingots, gold and silver coins. Under such real money systems every commercial exchange involved the exchange of a real thing for another real thing, i.e. goods or services, of equal value. Hence this constituted a just and fair exchange system. The precious metals played the role as measures of value in trade and contracts. Malaya being a peninsula rich in natural resources also attracted colonialists and later Chinese and Indian immigrants. The Portuguese, Dutch, Japanese and English were here at certain times in history, however, the influence of the English was the greatest. The British East India Company first established a British Settlement in Penang, in 1786. Later, Penang,Singapore and Malacca were amalgamated as the Straits Settlements in 1826, with Penang as itscapital. They brought in the Indians to work in the rubber plantations while the Chinese mainlyfor the tin mines, the two main economic activities of that time. Immigration to Malaya was easy because the Malays were simple, tolerant, religious people with high moral values. In real economics, the coming of all immigrants including the Arab and Indian Muslim traders is goodsince their immigration increased the economic activity and the distribution of the economic pie, all of which increased the economic wellbeing of all. However, things started to change with the introduction of first private banks in Penang. The Mercantile Bank, which later became a subsidiary of the Hong Kong Bank (now HSBC),set up its business in the 1860’s and Chartered Bank (now Standard Chartered) in 1875. Thesefirst private banks issued their own private banknotes. The government had no official banknote issues yet. Only in 1897, when the Board of Commissioners of Currency was established, the Government of Straits Settlements was authorized to issue currency notes. But the notes issued by the two private banks, i.e. the Chartered Bank and Hong Kong Bank, also circulated among the government-issued notes. However the rights to issue notes by these banks were terminated in 1921. In 1938 the Board of Commissioners of Currency Malaya was established with the sole power to issue currency for the whole region. In 1952 the board became Board of Commissioners of Currency Malaya and British Borneo which continued to issue currency even after Malaysia’s independence in 1957. The board was officially closed only in late 1979. Since then currency was issued solely by Bank Negara Malaysia; but however, most money was actually created by the commercial banks through the fractional reserve banking system. All the above, i.e. the issuance of private bank notes, the Board of Commissioners of Currency and the Bank Negara Malaysia with its fractional reserve banking were all based on interest-based fiat money system and were all detrimental to the economy of the Malays. We argue this in the next section. One of the principles of fiat money is that the seigniorage of fiat money benefits the first user of the money. Since fiat money is not backed by gold, or anything of value for that matter, it is cheap to produce but carries with it purchasing power created out of thin air. It is this cheaplyproduced purchasing power that is sought after by counterfeiters of money. However, when banks issue their own currencies, they get this seigniorage. Their issuance of fiat money carries with it purchasing power created by taxing the whole economy through inflation. Not understood by many is the fact that the right to create fiat money effectively places the ownership of national resources and assets, in the hands of the banks. We have argued in Meera(2005) that creation of fiat money itself is riba and that it goes against the maqasid al-Shari’ah. Hence countries can lose through seigniorage if they allow the fiat money of another nation ornotes issued by private institutions to be used as money in their land. Secondly, the banks give out the freely created fiat money as loans - to individuals, businesses and government - that carry compound interest charges. And interest is strongly condemned in Islam. Therefore, when the first banks in the peninsula were established and issued their ownprivate banknotes at interest, most if not all Malays, Arab and Indian Muslim traders did notwant to have anything to do with it. However, neither they nor the Muslim leaders put a stopto this activity in their land. In our opinion, this is the biggest mistake made by the Malay Muslim leaders of the time with regard to Islamic monetary principles, the effects of which are so apparent in the current socio-economic-political conditions of the Malays. The issuance of fiat money at interest by the early banks and authorities totally excluded the early Muslims - Malays, Indian and Arab traders – from dealing with the banks. This was a systemic financial exclusion of the Muslims. Accordingly, we also note that in that period, i.e. late 19th and early 20th century saw an influx of Chinese immigrants into Malaya who were comfortable with the interest-based fiat money banking. Hence, most newly created fiat money went to this group. This phenomenon systematically yet continuously increased the financial inclusion of the Chinese traders while continuously decreasing the relative financial inclusion of the Muslim group. This phenomenon is further accentuated by the fact that the Chinesecommunity has the tendency to circulate money within its own community. Hence the interest-based fiat money system had, over the decades, decreased the financial inclusion of the Malays, Indian Muslim and Arab traders while at the same time increasing that of the Chinese community. This phenomenon has been taking place exponentially since interest-based fiat money grows exponentially. Hence simply by the structure of the monetary system, relative money and wealth of the Malays, Indian Muslim and Arab traders must have reduced exponentially, while that of the Chinese community increased. Of course, with increased wealth and money, the Chinese community could further expand their business, explore new ventures, send their children for prestige higher education overseas etc. Indeed, most Malays did not even have a bank savings account even until into the 1970’s. This shows the long duration of relative financial exclusion the Malays, Indian Muslim and Arab traders endured. Fiat money takes away the wealth of the original indigenous people, in our example the wealth of the Malays, by creating inflation in the system. Accordingly, now after about 150 years sincethe establishment of the first banks in Malaya, considerable wealth, particularly land, has been transferred away from the Malays. The Malays are now very much economically disadvantaged, with most of them occupying the lower rung of the economy, many even falling into the poverty category. Accordingly, as expected from this, socio-economic problems like unemployment, crime levels, drug addiction, mat rempit, lower academic achievements and other social problems are relatively high among this group. There is a huge gap in relative income andwealth distribution between the Malays, Chinese and others, with the Chinese communityenjoying a much higher and disproportionate share of the economic pie. The Chinese community is undoubtedly a hard-working business community but it dominates most commerce and trade very much assisted by the structure of the banking and financial system with only little due to differences in skills, labour productivity or business acumen. Basically, huge wealth transfers have been taking place up till now, simply financed through inflation. Figure 1 below provides the estimated money supply in Malaysia created by the commercial banks in the form of loans, for the period 1973 to 2011. Note the exponential growth depicted by the graph. The Bank Negara Malaysia data show that the amount of Broad Money, M3, in year 2011 was RM1.24 trillion. Out of this RM53.49 billion was currency in circulation. The difference, RM1.19 trillion is estimated as the amount of existing money created by commercial banks out of thin air, through the fractional reserve banking. In 1973 this amount was only RM6.6 billion, implying an average growth rate of money creation by the commercial banks as being 14.7percent per annum. The issue here is who were the beneficiaries of all these humongousamounts of money created by the commercial banks? Were the amounts equitably distributed among all races? The manner in which the total money supply is distributed among all the races in the country could indicate to us the level of financial inclusion of each race. The Bank Negara Malaysia perhaps could shed some light on this. The economic dominance of the Chinese community is also bringing about a gradual increase in their political representation in the country. The continuous disadvantage of the interest-based fiat money system to the Malays, Indian Muslim and Arab traders had caused this group to finally be involved in interest-based financial transactions. To be continuously involved in trade, for example, Muslim businessmen still hadto deposit and keep their accounts with the banks. Under the fractional reserve banking system, this allowed the banks to give out interest-based loans many times the original deposit amountsto others. Due to the non-Islamicity of the banks, the ownership and management of banks were naturally dominated by the non-Muslims. Hence Muslims in general, traders or otherwise,became only ‘victims’ of such system. Creation of fiat money cause inflation in the economy,that is borne by everyone irrespective of whether one had any dealings with the banks or not. Therefore, the Malay and Muslim traders while faced with gradual economic exclusion had to, at the same time, bear the burden of inflation. Nevertheless, such prolonged economic exclusion gradually forced the Malays and other Muslim traders to be involved in interest-bearing financialtransactions for economic survival purposes. Many started to take loans for housing, vehicle purchase and business financing. Many also started to get employment in banks. In the current banking system, some of the chairmen or chief operating officers of the conventional banks are Malays. They began to basically ‘ignore’ something that is strongly prohibited in their religion. Expectedly, the Muslims were therefore excited when the first Islamic bank, i.e. Bank Islam, was established in 1983. Nonetheless, not many understood the mechanism of thefractional reserve banking system under which Islamic banking works and how it still continued to be the linchpin for the relatively very low financial inclusion of the Malays, Muslims and theindigenous people. While the central bank controls the fractional reserve requirement for the commercial banks, it’s indeed the loan office of a bank where money is created out of thin air and distributed to whomever it deems fit. Hence, one can see the politics in banks for the control of the loan office. The authority to create money out of thin air is a supreme power enjoyed by the loan officers; a power that is not even directly vested with the Prime Minister. As mentioned earlier, some of the top management positions in the conventional banks are held by Malays. However, this or even the ownership of the bank does not matter much. What matters most is who gets the newly created money and this is under the direct control of the loan officers. They are indeed the kingmakers of the fractional reserve banking system. Accordingly, due to the significant socio-economic-political effects of fiat money, the racial composition of the loan approving officers is of utmost important, even though we may assume that they would act professionally in their job. However, from the earlier days, the number of Malay loan officers would have been very low for Malays and Muslims due to the interest-based nature of banking. Hence the control of loan office, the tendency to circulate money within the community and the limited liability law, we contend that the Chinese business community got the lion’s share of this freely created money and hence their ever increasing relative financial inclusion. This was indeed the real force behind the rise of the Chinese community relative to other communities and its ultimate economic dominance in the country. However, note that the Chinese community attained this all through legal means. While the wealth of the Chinese was rising largely assisted by the financial system, the economic pie for the Malays and other races was, accordingly, shrinking. The graph in Figure 1 shows thatthe trend of this is exponential. This gross inequality in wealth distribution among the races hasindeed caused a series of socio-economic-political problems to emerge. We attribute this gap tothe occurrence of May 13, 1969 ethnic riot. Even though the Malays maintained their political grip after the event, the inequality in wealth distribution continued to grow under the maintainedbanking status quo. Indeed most cities and urban areas are now ‘owned’ by the Chinese community. Take Penang for example, while once it entirely belonged to the Malays, now the whole island is practically gone from them. Indeed many Malay public servants, like teachers, are requesting that they be transferred to the mainland because they could no longer afford adecent home on the island. This indeed is a systematic push executed through the banking and financial system. Similar are the stories for Johor Bahru, Kuala Lumpur, Ipoh, and other cities and towns. Note the skyrocketing price of real estates in these urban areas. This phenomenonnot only pushes out the Malays and indigenous people away from the urban areas but also erectsan unseen barrier of entry; and of course all these have political implications. Over the last few decades we also notice complaints from the public regarding rising corruption among government officers who are mainly Malays. We attribute this, also to the imbalance in wealth distribution among the races. This is because while the Malays commanded politicalpower and authority, others had the upper hand in business and wealth - a ripe recipe for bribe giving and bribe taking. The power-welding but economically lesser Malay officer is likely to be tempted to take bribe to match the economic wellbeing of his wealthier counterpart. We are not condoning bribery here. Bribery is indeed an act of betrayal to the nation, where for every bribe-taker there is a bribe giver, both of whom are wrong of the act. It is sad to note that the disparity in wealth ownership had even changed the nature of Malays who once sported high religious and ethical values. The former Prime Minister, Dr Mahathir Mohamad is well-known to have taken someaffirmative measures to counter the economic imbalance between the races, particularly infavour of the Bumiputras. Among which, he sent large numbers of Malay students overseasunder the New Economic Plan, under the banner of uplifting the socio-economic status ofBumiputras, with the hope that they would return back with improved educational and socio-economic skills. Indeed this policy paid off and created a respectable pool of middle-income and high-income Bumiputras. Also, he privatized some government entities with the hope of creating some top Malay businessmen who could match and be at par with counterparts from other races, particularly the Chinese, even if not to match them in number. However, the continuously shrinking economic pie for the Malays and other Bumiputrasmade the government unable to sustain those affirmative policies. Some Malays and otherBumiputras had to be left out. This appears to have also created some self-centered Malay politicians and rich businessmen who seem to have forgotten their own kind, amassing wealth and economic power for themselves. All the above socio-economic effects of fiat money in turn have effects for politics. We assert here that it’s this continued gradual economic deprivation of Malays that has caused many to resort to the opposition political parties, very apparent in the last election, with the hope thatthese parties would help them overcome their economic woes. But with the current banking structure in place, the opposition parties too would not be able to solve their problems either. The Chinese, on the other hand, went all out for the opposition, not due to economic deprivation but rather it was their one-time life chance to assume more political control that could take them well on their way to achieve political dominance in the country as well. For all the above observations, particularly the socio-economic downfall of the Malays in Malaysia, we would point our finger at the banking sector as the root cause – for creating hugegaps in income and wealth distribution among the races through its unequitable distribution of large amounts of freely created fiat money. Fiat money creation by the banking sector is indeeda humongous ‘give-away’, particularly when given under the limited liability law (please readour article Fiat Money and Interest Groups that appeared in the EDGE, 1 April 2013, p56), compared to the warranted government give-aways to the Bumiputras, that are meant to assist them wade through the tribulations and pressures caused by their economic destitution. It is now time for the government to halt and reverse this trend of gross inequality in national wealth distribution among the races, caused by the banking sector for about a centuryand half now. The government should take stock of this inequality using data obtainable fromBank Negara Malaysia or otherwise and thereafter take proactive measures. Among theimmediate policies we have always recommended is to nationalize all commercial banks in orderto immediately halt this destructive trend. Nationalizing banks can also help overcome the government’s budget deficit because money created out of thin air would now be publicly-owned rather than privately owned as is the case in the present setup. This is of highest priority and ofparamount importance. This was also the main resolution of the 3rd Annual World Conference on Riba, 2012. In the US, this initiative is being championed by the Public Banking Instituteunder the leadership of Ellen Brown. North Dakota has public banking and hence is the only state in the US that is not financially distressed in the current economic turmoil in the US. As to reverse the process, policies could include, for example, officially gazette the use ofthe government’s oil and gas revenue for assisting the economically-deprived of all races. This would expectedly include a good chunk of Malays, other Bumiputras, Indians and also somedeprived Chinese. We believe that through such policies, the national wealth could be more equitably distributed among all races. This in turn would promote a more stable and vibrant economy,bring back Malay unity, forge racial harmony, significantly reduce bribery, crime levels andthereby promote peace and prosperity for all. Only when we solve these and accordingly level the economic playground could we then talk about meritocracy and so forth; otherwise with the present dynamics of things, the Malays and the indigenous people would likely be reduced to‘slaves’ in their own country. The Malays allowed themselves to be economically dominated even though they have the political power simply because they are highly tolerant people, molded by their religious beliefs. Consider we reversed the roles, i.e. say the country was initially inhabited by another race, and the Malays were immigrants who later assumed economic dominance, would the other race have tolerated that as the Malays have? In short therefore, the government needs to take proactive actions to ascertain that the wealth of this land of ‘milk and honey’ is more equitably distributed by increasing the financial inclusion of the Malays and other affected ones in order to take this country forward towards achieving its developed-nation status in 2020. In summary, the establishment of private banks beginning 1860’s, and later the Board of Commissioners of Currency Malaya, and thereafter the Bank Negara Malaysia with its fractional-reserve-based commercial banking, all of which could issue money out of thin air,started a built-in process of economic ‘ruin’ of the Malays, the indigenous people and the Muslim traders. The introduction of fiat bank notes by the early banks under the interest-based system neither favoured the Malays nor Muslim traders. This is because interest taking andgiving are forbidden in the religion of Islam. In earlier days, Muslims did not even want to work in the banks. Accordingly, the banking structure favoured the non-Muslims, particularly the Chinese who comprised a large business community. This tremendously increased the economic affluence and educational levels of the Chinese way above the Malays and other races. Therefore, the mere creation of fiat money by the above entities caused a systematic shrinkage in the relative financial inclusion of the Malays, the indigenous people and the Muslim traders. Interest-based loans further caused a financial exclusion. This has caused huge wealth transfers away from the Malays financed through inflation, and their economic deprivation up till now. In turn, this has brought about the socio-economic-political effects as we see it in Malaysiatoday. It’s now up to the government, NGOs and the people to take the necessary steps to correct the situation. Can we continue to ignore equity Islamic finance?